Many people think of their air conditioner as a device to keep them cool during the summer months. Unfortunately, they fail to provide it with the appropriate level of maintenance that it needs to function. When they try to turn the heat on during the colder months, they experience equipment failure. This may not affect everyone. However, even if you live in a warmer climate, there may be cooler evenings to contend with. With this in mind, your equipment should be introduced to a regular maintenance schedule from a qualified company. This will ensure that when you turn on the equipment for either hot or cold air, it works. Even with proper maintenance programs in place the equipment can fail. The good news is that if you pay attention to those signs, you can have a technician from the 91354 zip code at your door. One of the more obvious signs is a lack of performance. This generally means that there is no cold air being pumped into your home or place of business. Another indication is that you have to keep adjusting the thermostat to get it to a comfortable setting. If you hear unfamiliar sounds coming from your equipment, it is time to take action. It should be noted that most air-conditioning units can be back online promptly. There are instances when your device requires a part which needs to be ordered. Customers in the 91355 zip code that have dealt with us agree that the goal at Service Masters is to keep parts on hand for most of the popular brands. Emergency calls are handled in a professional manner and the moment we are notified we make every effort to have a technician at your door. Systematic repairs generally translate into less maintenance and a reduction in emergency calls. A air conditioner repair in valencia will be much less expensive then a new ac system. Customers in all the zip codes that we cover including 91385 expect and receive the highest quality service call. When that electric bill begins to creep up to match the age of your air conditioner, it may be necessary to have the unit replaced. Our professional service technicians will evaluate your equipment and make the necessary recommendations. It is possible that repairs are not feasible, and the equipment may continue to demand costly repairs just to remain operational. 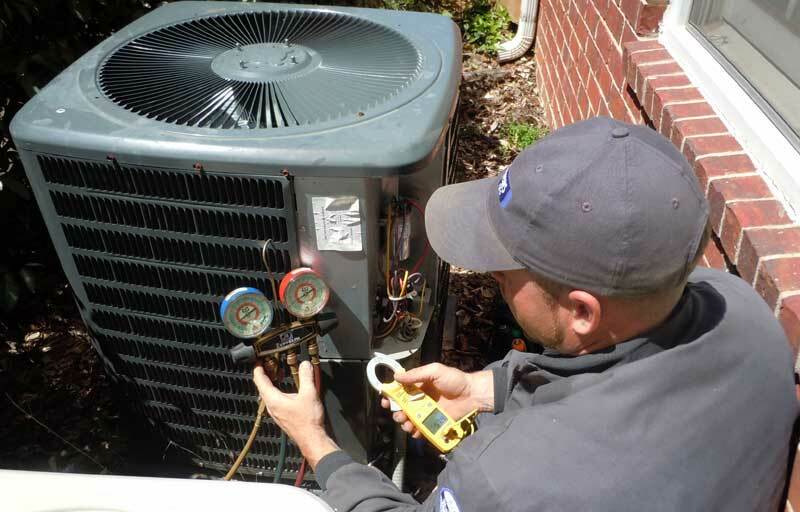 You can be assured that our qualified service technicians will walk you through the replacement process and install your new air conditioner for you.